Yesterday’s trivia answer: Madagascar. Madagascar produces 2/3rd of the world’s vanilla. Thank you, Madagascar! And I am seriously impressed with everyone’s food trivia knowledge!! The only thing that would’ve made last night’s dinner better would’ve been someone to enjoy it with! I’ve been wanting to try this recipe of Karla’s for quite a number of weeks now…and I knew that I’d have to do so when Mr. Prevention wasn’t around. He hears “garbanzo beans” and he loses interest. His loss. Seriously. Soak beans overnight in plenty of water. The next day, put the garbanzo beans and onion in the food processor and pulse to roughly chop. Next, add remaining ingredients and pulse until combine. Refrigerate mixture for a few hours. After the mixture is chilled, pre-heat your oven to 375° F. Form garbanzo bean mixture into 25 walnut sized balls. Place on a greased baking sheet and bake for 25-30 minutes. Increase oven temperature to a 500° F broil. Broil falafel for 3-5 minutes (or longer) until the tops are golden brown. Serve with pita, cucumbers, tomato, and either hummus or a tahini yogurt sauce. Yield: Serves 5 (five falafel per serving). Result: Soooo good! There are so many falafel lovers among my family and friends…I can’t wait to spoil them with this healthy falafel rendition. These really did FAR exceed my expectations, and I do consider myself somewhat of a falafel connoisseur after working in a Middle Eastern restaurant during high school. And as for the nutrition? A++!! Low calorie, low-fat, high-fiber! 😀 A much leaner choice compared to the deep-fried traditional preparation. 1. Multi-grain and wheat breads. Ideally, breads are from whole grain and 100% whole grain sources, not enriched, bleached, or from a refined source. 2. Prepared salads. Tuna, egg, and chicken salad are loaded with calorie-dense mayonnaise. Even tossed salads which have lots of yummy, tantalizing ingredients atop a pile of greens can yield one very high calorie meal. Be careful not to assume salads are always the healthiest choice on a menu. 3. Reduced-fat peanut butter. Peanut butter contains healthy monounsaturated fat. When fat is removed from products, like peanut butter (and salad dressings), sugar is substituted in. Furthermore, there is no calorie difference between regular and reduced-fat peanut butter. 4. Energy bars. Many energy bars are packed with calories, high fructose corn syrup, and saturated fat. There are much healthier (and cheaper) alternatives for pre and post-workout fuels. 5. Bran muffins. Bottom line: portions of such baked goodies are way, way too big. I agree with Cooking Light, make your own muffins at home! 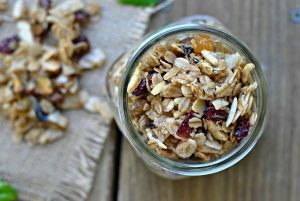 Cut calories and cost for your breakfasts on-the-go! Need muffin recipe ideas? There’s tons on my recipes page under “Breakfast”! 6. Smoothies. Many chains add sugar, sherbet, or ice cream to smoothies to get that oh-so-wonderful taste leading you back for more time after time. Smoothies are simple to make in the home with fresh or frozen fruit, low-fat or fat-free milk or yogurt, and/or 100% juice or calorie-free beverage. 7. Packaged turkey. While packaged turkey offers and easy, low-cal meal option it is loaded with sodium. 8. Foods labeled “fat-free”. Fat-free does not mean calorie-free. Always read labels to get the whole scoop on a product. 9. Restaurant baked potatoes. The potato isn’t the problem, but the heaping scoops of butter, sour cream, bacon, and cheese sure are! Ask for toppings on the side and watch the portions. 10. Sports drinks. These drinks are designed for intense exercise and training, not your weekend stroll or casual jog. Using them inappropriately simply packs on the calories (and cost) unnecessarily. I really enjoyed this article. While I think a few of them were obvious, the information was factual and valuable. Great list! I used to be a big fan of some of these “healthy” foods, but now they rarely show up in my diet! There are so many other foods that can go on this list too. It really pays for us to understand what it is we are eating. BTW, I think the baked falafel sounds great! DUH-LISH!!!! 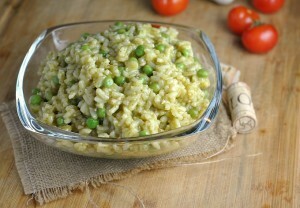 Going to be making this this weekend…sssssshhhhh don’t tell Mr. Wede that it’s garbanzo beans. Going to try and convince him it’s lamb or something meat induced for my carnivorous half. On that note…do you think these would be good with ground lamb…hmmmm….possibilities! I spent 10 days in Israel a few years ago and never tried falafel!! Probably because I was having some serious stomach issues that trip, but I’d love to try this recipe! It’s unbelieveable how many bottles of gatorade I see at my weekly beach volleyball games. There are 6 of us on the court at a time… we’re not moving all that much. I so want to try this baked falafel! And I really appreciate that list. While many of those may have been no-brainers for those of us in the healthy living community, I think the majority of the population is still fooled by energy bars (that are really candy bars!) fat-free stuff, and wheat bread that isn’t 100% wholegrain. Everyone should have to read that list! Loved the article-it was so informative! I’m going to try the baked falafel. It looks amazing! I love falafel. My stepdad’s mom makes the best…she is from the middle east. Great list of not so healthy foods. the one that gets me every time are smoothies and people’s love for these. You can exceed your calorie needs for the day in just one smoothie. I always encourage (when weight is a concern) not to drink calories, even if it seems healthy. 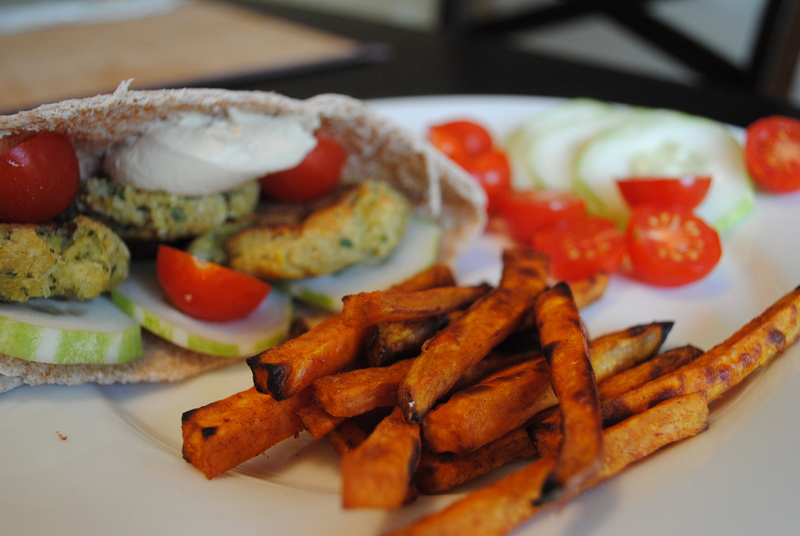 I love love love baked falafel! And now thats what I want for lunch… And sweet potato fries. Yum! 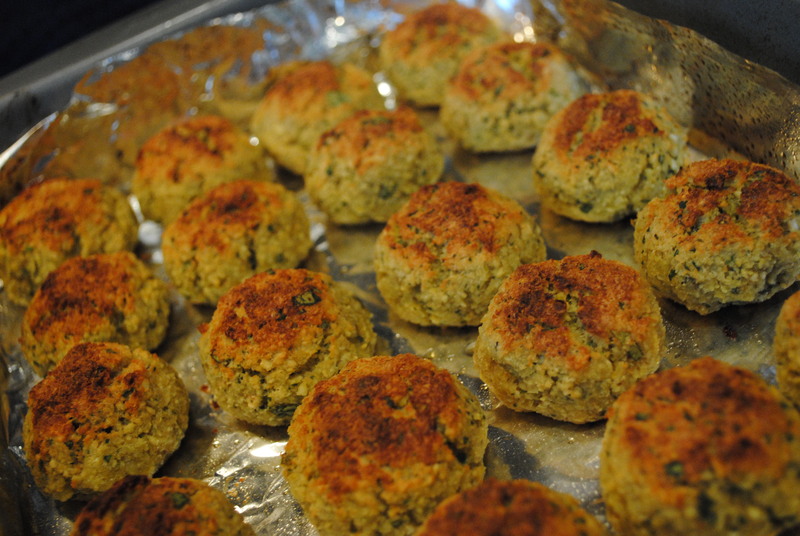 I love baked falafel and I’m hoping to make some soon. I plan to have an active weekend and spend most of my time outside. Oh my goodness! Im so glad you posted this recipe. Now I know exactly what Im making for dinner tonight. YUM!! You know I have never had falafel. This dish looks amazing. I don’t know why I have never had it but I will be adding it to my list of foods to try asap. I get so many patients that drink sports drinks thinking it is a good choice (when they are not all that active). I would not have thought about sports drinks and energy bars–good point. ur right about the bran muffins, most people think they’ll be the healthier choice.. even the low fat ones are incredibly fooling. anytime u make it urself u can ensure they’ll be healthy with the portions of ingredients and amounts of sugars and fats. plus 99% of the time if something is sugar-free it has a bunch of fat added in to replace the flavor, and similarly, when the fat is removed, sugar goes in to replace it. wonderful tips and it was exciting to go through the list and see habits that i previously had without realizing were actually unhealthy! definitely was a smoothie lover until i saw the grams of sugar in a regular sized serving!!! 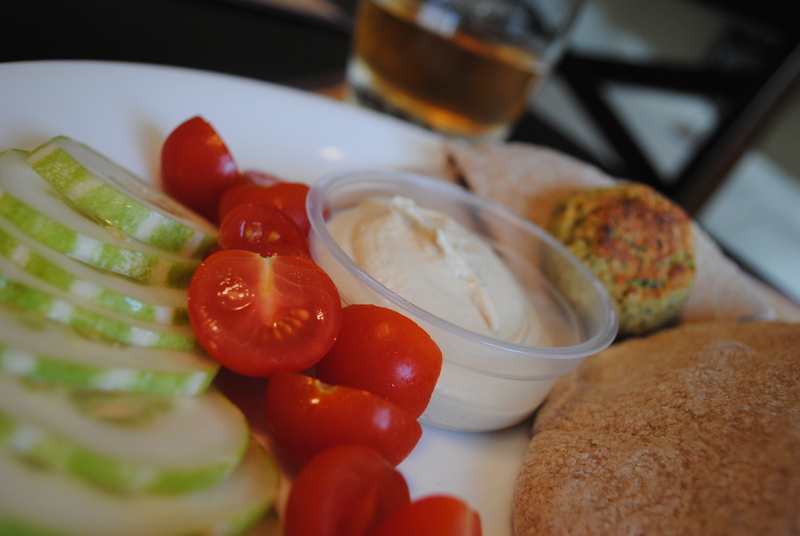 Yay for baked falafels! I can’t wait to go home where I have a food processor so I can make them again! Phenomenal and easy! Much better texture than other low fat falafels I’ve made. Is it because of the soaked chickpeas as opposed to canned? Either way such an amazing dinner! Jill, I have to agree…this is a wonderful recipe. That’s why it’s going in my cookbook 😉 I do think the soaked beans is what makes these falafel have the texture that they do. Just a hunch, though 🙂 So glad you loved them! Hello! I love all your recipes. I found this recipe just in time for a Mediterranean/Middle Eastern/Indian potluck I am attending. I was wondering if the garbanzo beans have to be cooked after soaking? 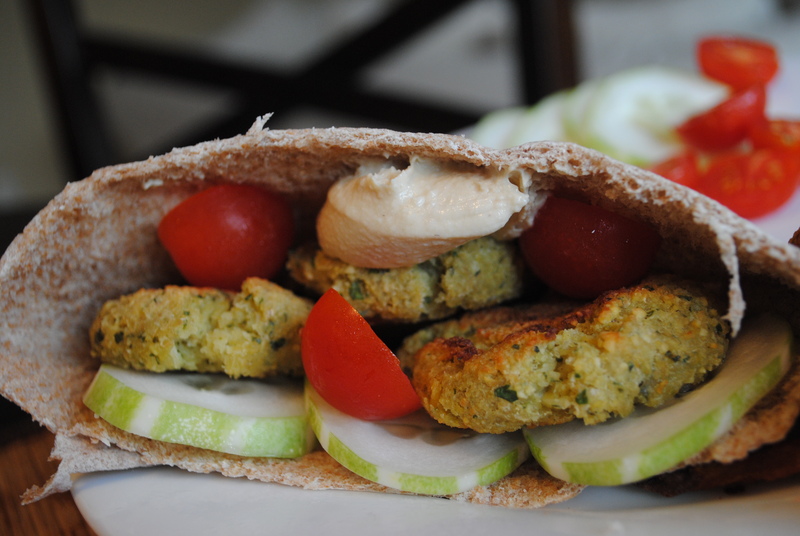 Falafels should be on your list of not so healthy healthy foods! They are high in sodium and high blood pressure is the number one preventable cause of death in the world!